The reverse mortgage portion of the Federal Housing Administration’s Mutual Mortgage Insurance Fund continues to drag on the overall government-backed portfolio, according to an annual actuarial review of the fund’s finances released Thursday morning. At the end of fiscal 2018, the Home Equity Conversion Mortgage cash flow net present value, a measure reported to Congress by the Department of Housing and Urban Development and endorsed by actuarial firm Pinnacle Actuarial Resources, was estimated to be negative $13.63 billion. That’s a slight increase from a negative value of $14.5 billion estimated in fiscal year 2017, but the HECM portfolio ended this year with a negative 18.3% capital ratio, according to the report’s findings. In contrast, the fiscal condition of FHA’s forward portfolio is marked by an economic net worth of $46.8 billion and a capital ratio of 3.93%, an improvement over fiscal year 2017. In light of the negative economic value relative to the positive performance of the forward portfolio, the HECM program continues to be a risk for FHA that the agency is monitoring, Department of Housing and Urban Development Secretary Ben Carson said during a call with reporters. FHA Commissioner Brian Montgomery echoed Carson’s statements on risks presented by the HECM portfolio, noting that the agency is committed to monitoring and improving the program, and that recent program changes are beginning to take effect. Recent measures taken to modify the reverse mortgage program — including last year’s lower principal limit factors and this year’s new appraisal requirements — have been seen as positive in FHA’s efforts to improve the economic health of the fund, HUD officials said; however, those changes address the most recent books of business rather than shortfalls stemming from loans originated prior to 2015. Leadership is working to protect principal limit factors and avoid additional mortgage insurance premiums, with an optimistic outlook, Montgomery said. The final calculation includes several factors that both helped and hurt the overall value of the HECM portfolio. The team from the Bloomington, Ill.-based Pinnacle noted that the loans from fiscal years 2009 and 2017 actually outperformed their projections by about $1.3 billion. In addition, Pinnacle includes an economic outlook calculation in the overall net cash flow value; because Treasury and mortgage rates were lower than projected, the economic calculation boosted the cash flow value by $1.1 billion. But lower origination volume in fiscal year 2018 docked the cash flow estimate by about $1.3 billion, Pinnacle wrote, and a gloomier outlook for loan termination and cash draws prompted the firm to lower its predictive model for the portfolio by around $1 billion. In speaking about past reverse mortgage defaults and non-borrowing spouse concerns, the HUD officials on the call indicated that many of the issues have been addressed for originations in 2015 and later. However, there may be additional attention placed on loans originated prior to non-borrowing spouse protections, Montgomery said, with an eye toward occupants in reverse mortgage properties. HUD will make an announcement soon relative to its findings, Montgomery noted, with a specific focus on occupants in the homes. Industry organizations underscored their commitment to further improving the reverse mortgage program’s impact to the MMI Fund in comments made Thursday. The National Reverse Mortgage Lenders Association highlighted the improvement in the HECM portion of the fund in a statement provided to RMD. The organization will continue to address issues relating to the insurance fund, Bell continued. 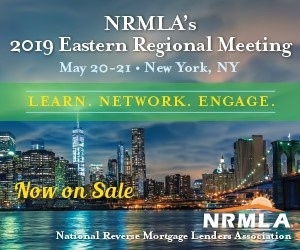 “At the same time, NRMLA will need to remain focused on addressing the issues that continue to effect the HECM impact on the insurance fund and, as an organization, work with HUD to find solutions that eliminate all concerns going forward and protect the availability of reverse mortgages as an essential option for retirement financing,” he said. The Mortgage Bankers Association stated its concern for the HECM program, as well as its support of the program for future retirees.